Recently, I taught a class on missional student ministry with veteran next generation leader Jeff Lovingood from Long Hollow Baptist Church. It was a great class! Each student gave a brief report on a topic of interest. One student shared an article from the Barna group I found to be quite interesting. Lots of information abounds on young people leaving the church. But not all leave; many stay, thrive and are impacting the world for Christ. Why do they stay? You can read the original article for yourself here, but I want to note the main five points with a few observations. My thoughts are in italics. 1. Make room for meaningful relationships. When comparing 20-somethings who remained active in their faith beyond high school and 20-somethings who dropped out of church, the Barna study uncovered a significant difference between the two. Those who stay were twice as likely to have a close personal friendship with an adult inside the church (59 percent of those who stayed report such a friendship versus 31 percent among those who are no longer active). 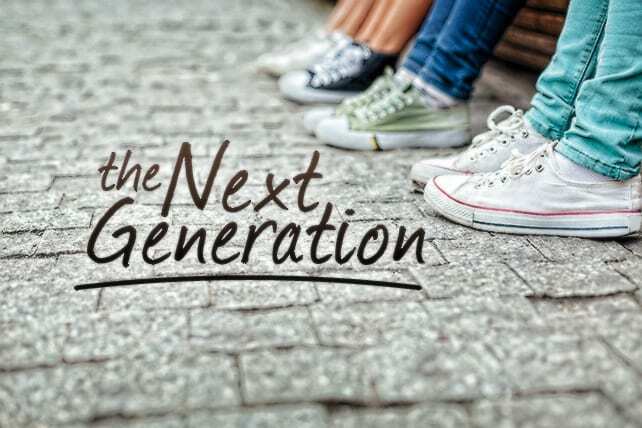 The same pattern is evident among more intentional relationships such as mentoring—28 percent of Millennials who stay had an adult mentor at the church other than their pastor, compared to 11 percent of dropouts who say the same. Notice “with an adult.” Titus 2 relationships—older men with younger men, older women with younger women—must increasingly be a priority in student ministry. 2. Teach cultural discernment. Active Millennial Christians are more than twice as likely to say they “learned about how Christians can positively contribute to society” compared to those who drop out (46 percent versus 20 percent). Actives are also nearly four times more likely to say they “better understand my purpose in life through church” (45 percent versus 12 percent).